Flax was @SpeciesofUK from 19th to 26th May, 2014. Flax is a food and fibre crop cultivated throughout the cooler regions of the world. It is known for its very distinctive blue flowers. 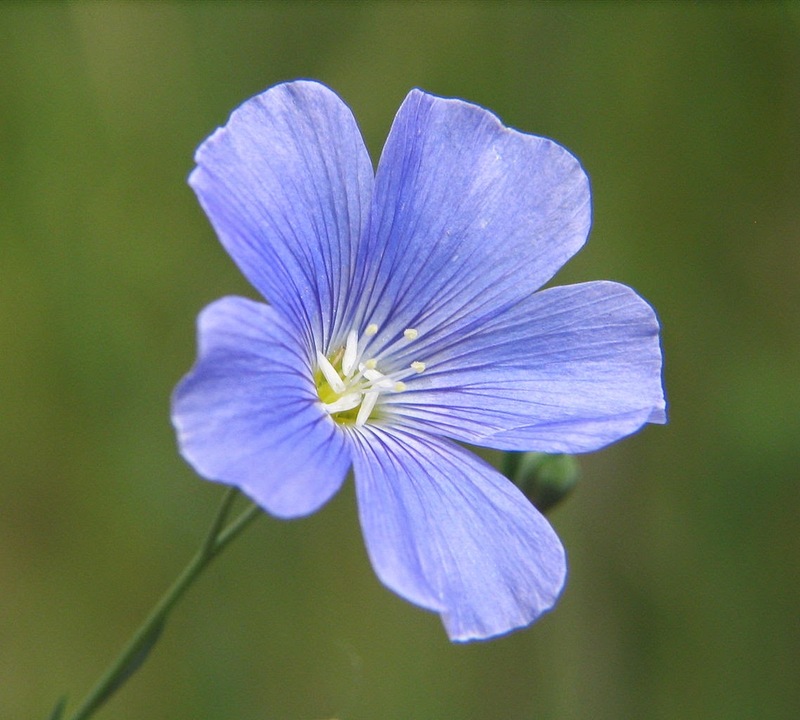 Flax is a member of the Linum genus. 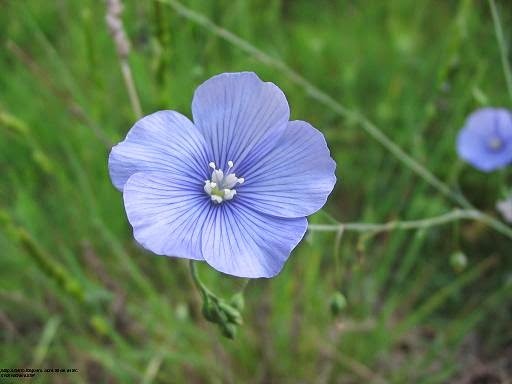 Flax, Linum usitatissimum, is the best known member of the genus Linum, which contains around two hundred other flowering plants. Most Linum species have blue or yellow flowers. Many are used as garden ornamental plants, for example L. narbonense. The word 'flax' itself dates back to Old English 'fleax' and Old High German 'flahs', from even older word roots meaning to weave or to strip. 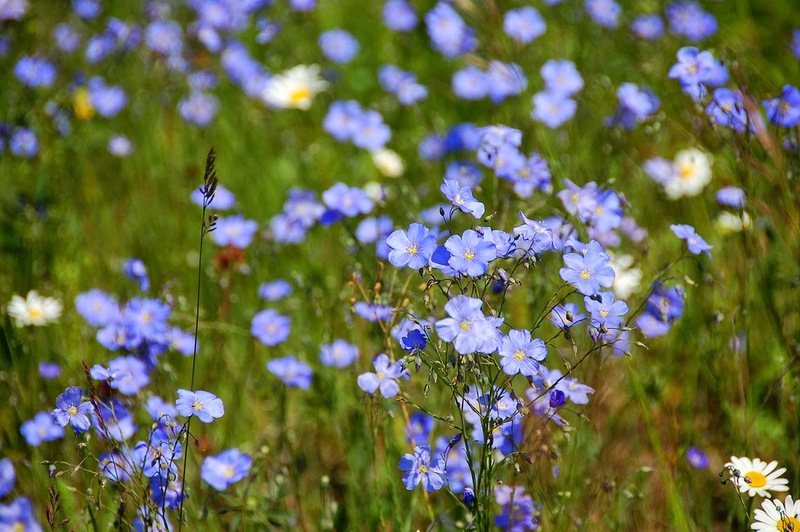 Flax is also called linseed, typically when grown as a crop for its edible seed and oil. The word linseed comes from Old English 'linsæd' from lin ('flax'/'linen') + sæd ('seed'). Flax is a species that emerged from cultivation. Although flax is grown across the world now, it originated in the eastern Mediterranean, western Asia, the Middle East and India. 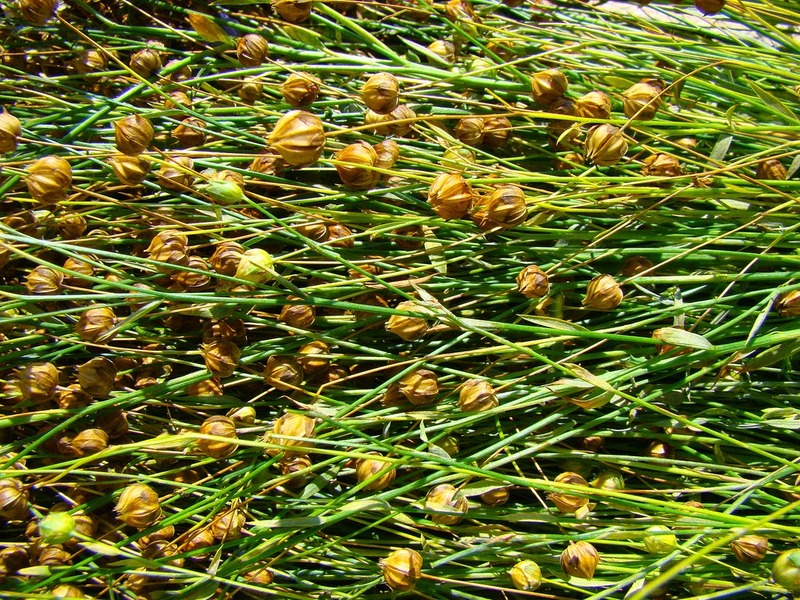 The species we called ‘flax’, L. usitatissimum, originated as a species from the process of cultivation. 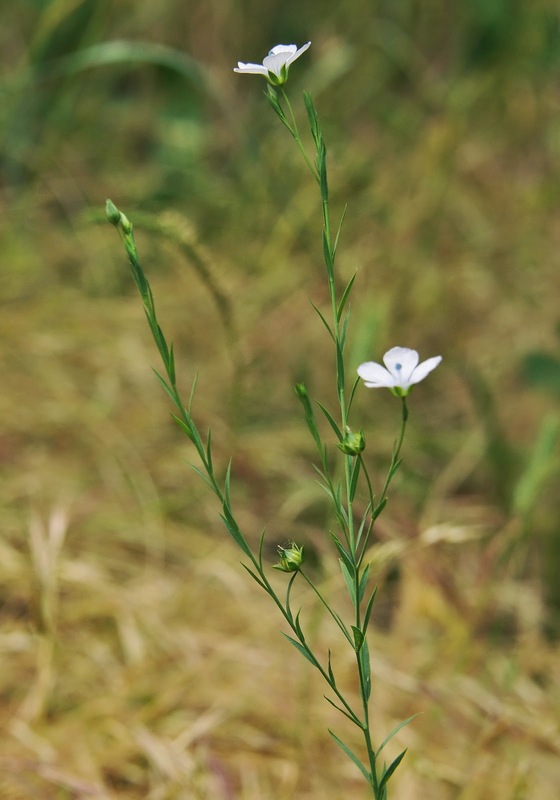 It could have been derived from a wild forebear L. bienne, 'pale flax’. Flax was and still is grown for its fibres which are used to make linen. The word 'linen' is of Germanic origin and is cognate with the flax genus name Linum and the earlier Greek λινόν (linon). 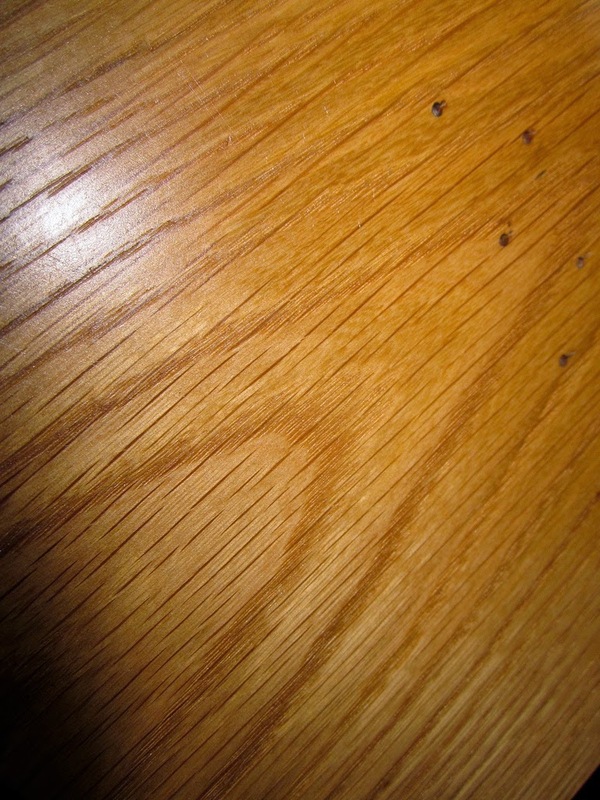 Flax is also grown for linseed oil production, especially since the late twentieth century. 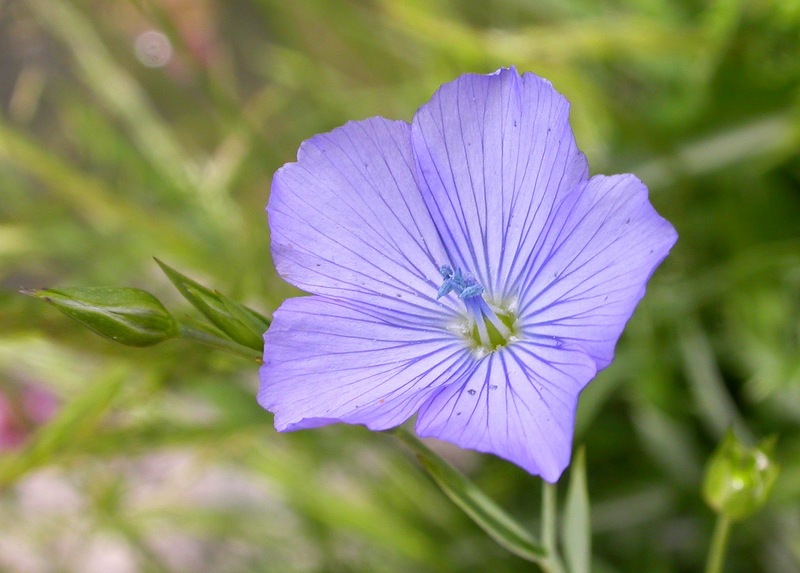 Flax has been known in the wild in the UK since 1632. Escapees from cultivation are pretty common, but are usually transient. It can be found in lowland areas on road verges, rubbish tips, waste ground even on stone reservoir banks. Flax is a tall, upright plant. Flax is an annual that prefers a moist, cool climate, which is why it's grown in cool, temperate areas of the globe. 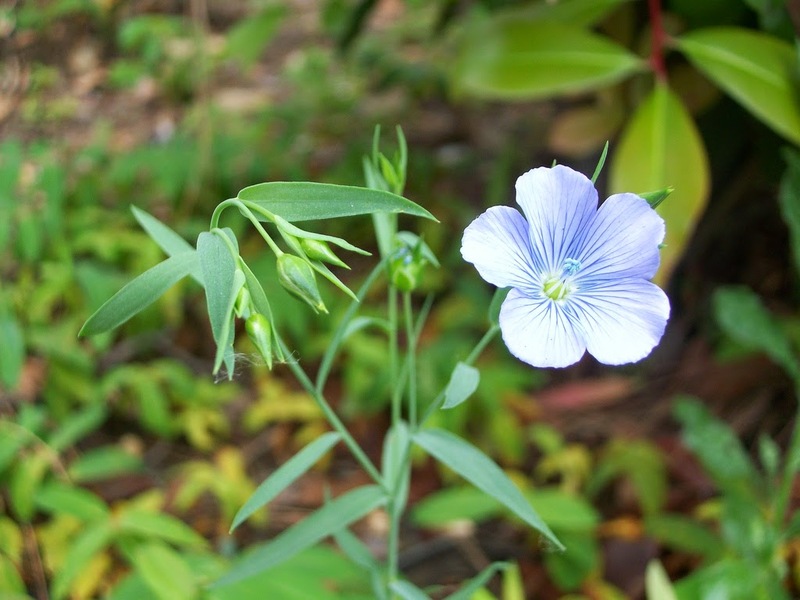 Flax is an upright plant that grows up to four feet tall on slender stems. It is robust and generally crowds out other plants. 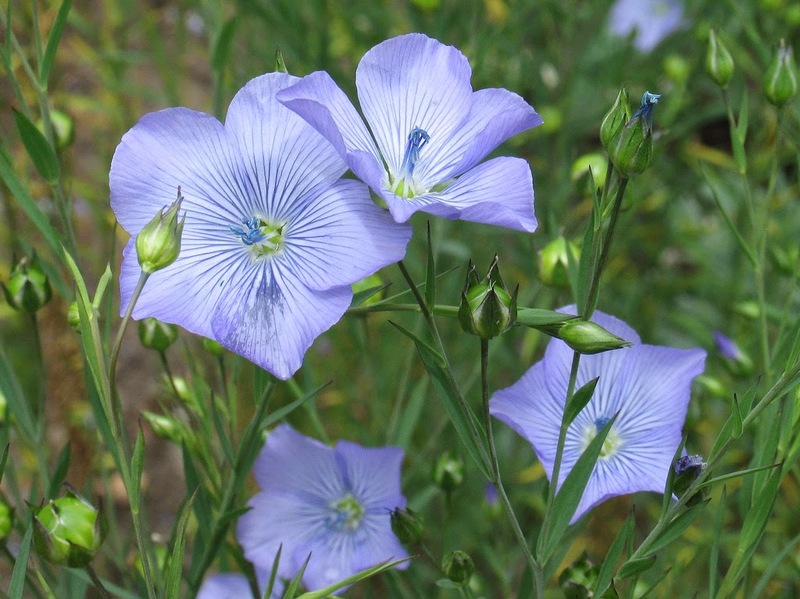 Flax produces wonderful, pure pale blue flowers that last for about three weeks. They are 15-25mm in diameter with five petals. 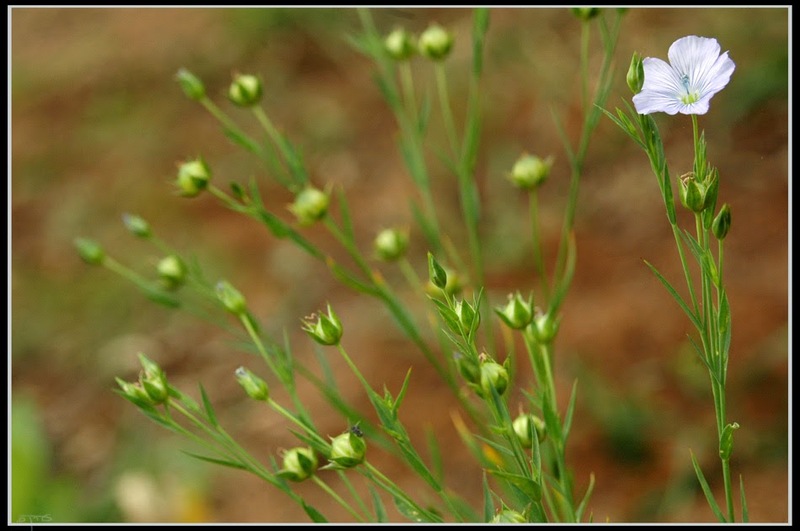 The leaves of flax are glaucous green, slender and 2-4cm long. 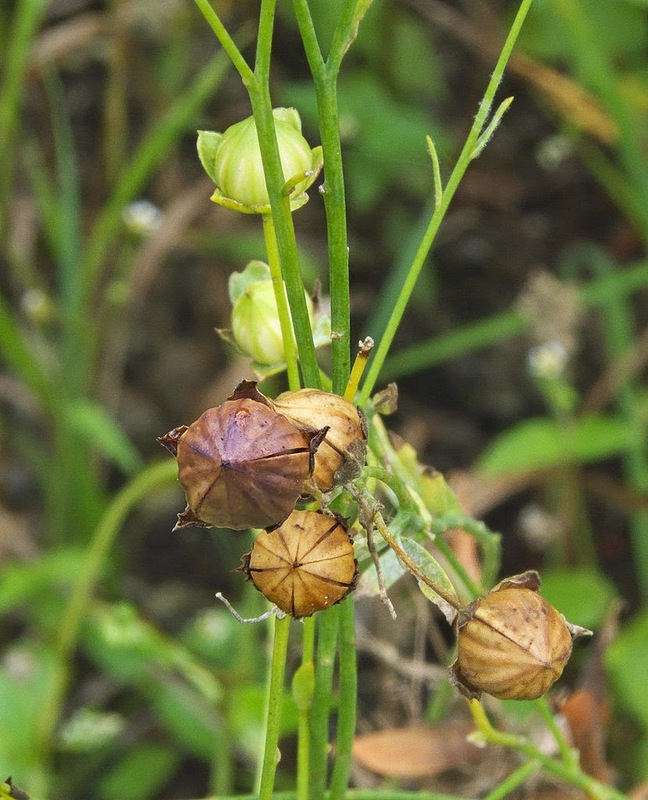 The fruit of flax is a round dry seed capsule containing several seeds which turns from soft green to a papery brown as they mature. The seeds themselves are glossy brown and shaped like an apple pip, 4-7mm long. 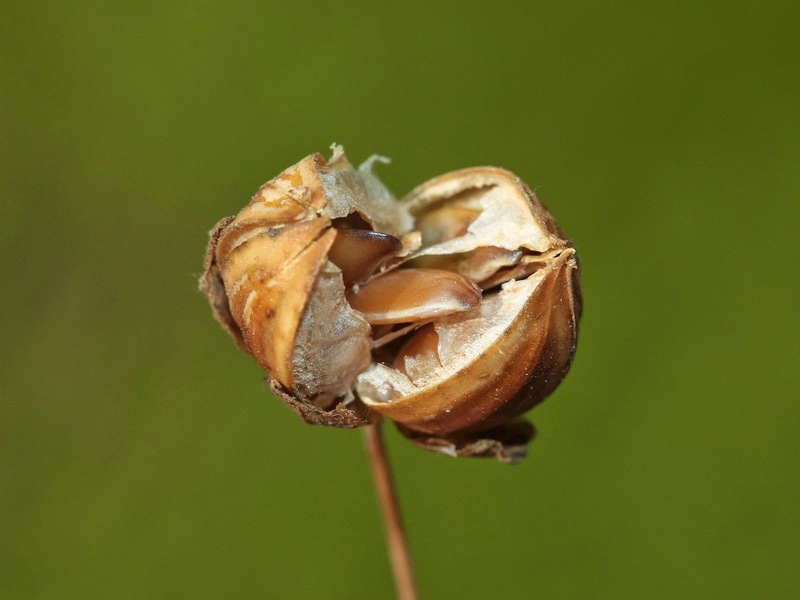 There are several seeds in each flax seed capsule. 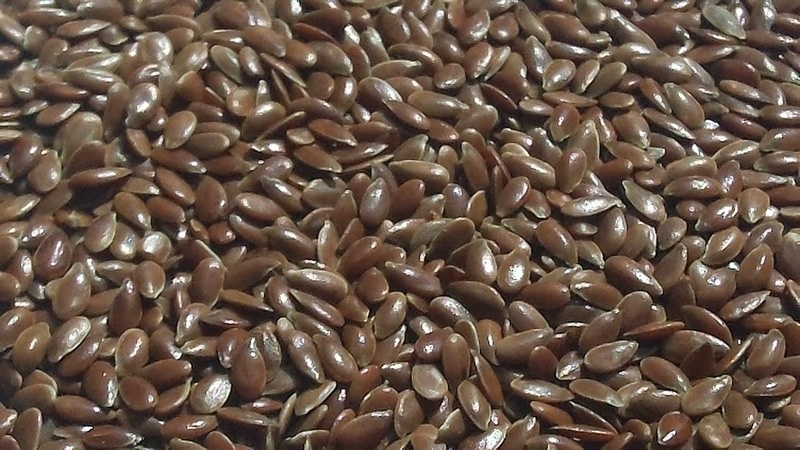 Flax seeds are also known as linseeds. 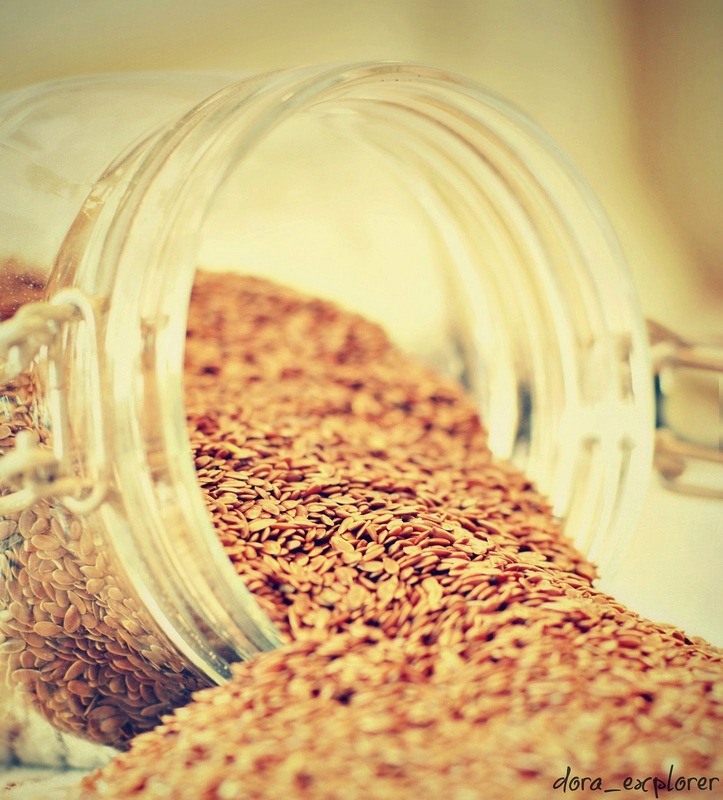 Flax seeds or linseeds come in two basic varieties - brown or golden. Both are edible although brown is eaten less nowadays. Linseed is a good source of Omega-3 essential fatty acids, lignans and soluble and insoluble fibre. Various health benefits have been attributed to linseed, not all of which are conclusively proven. Studies have variously suggested linseed could lower cholesterol, stunt prostate cancer growth, and lessen the severity of diabetes. Linseed can be used whole, ground down to a powder or sprouted, having a slightly spicy flavour. Consuming large amounts of flax seeds can impair certain oral medication and like many other seeds can cause illness from the build-up of cyanogens. Generally speaking though, flax seeds are perfectly safe to eat. 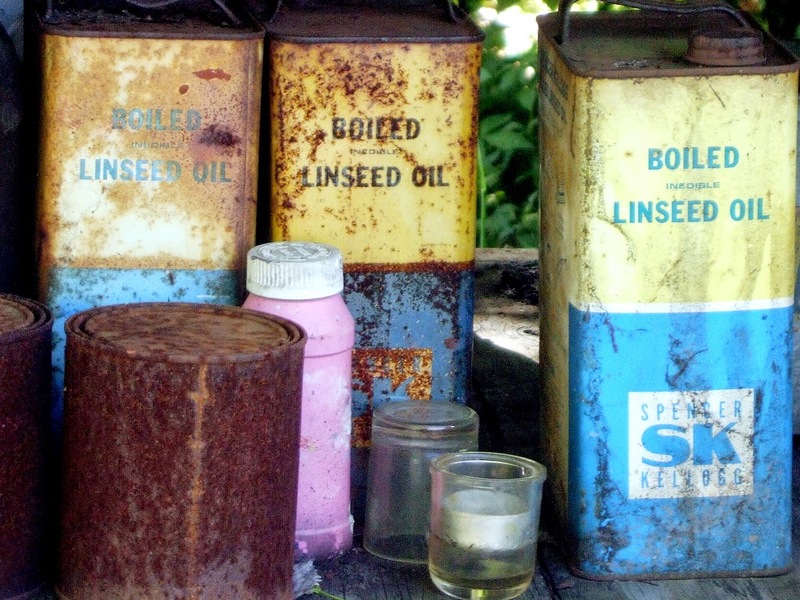 The oil produced from linseed is called linseed oil and is a commercial oil used in paints, varnishes, wood preservative and linoleum flooring. Linseed oil preservative comes either as raw linseed, which is more natural but takes longer to dry, or boiled linseed, which is darker and dries quickly but is non-edible so not for use on food bowls! The cultivation of flax for its fibre has a long and distinguished history. Flax is an ancient fibre crop with a long and distinguished history of use. It was probably first domesticated in the Middle East. In a cave in Dzudzuana in the present day country of Georgia, spun and dyed wild flax fibres have been found and dated, astonishingly, to 30,000 years ago. Flax was later extensively cultivated in both ancient China and ancient Egypt. Flowering flax plants are depicted on tombs and temples in Thebes. 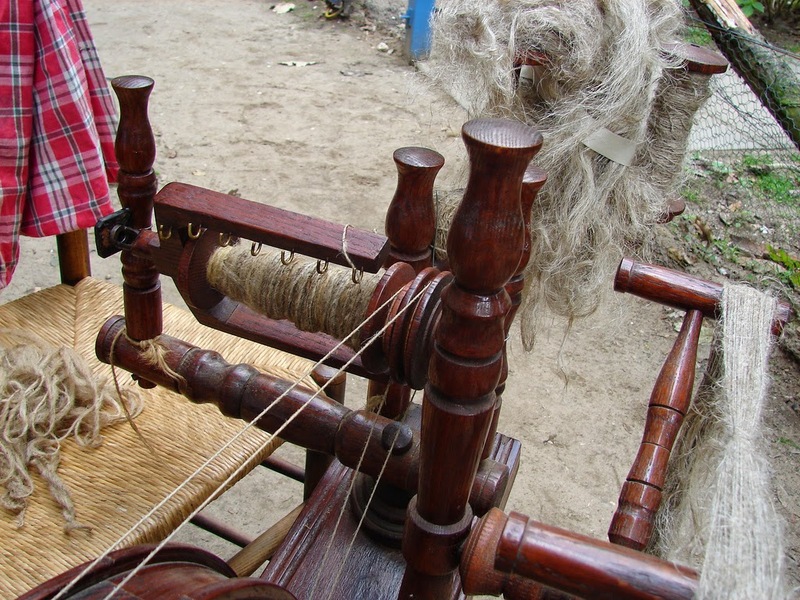 The use of flax for producing linen also goes back at least to ancient Egypt, where flax seeds and woven cloth have been found in tombs. 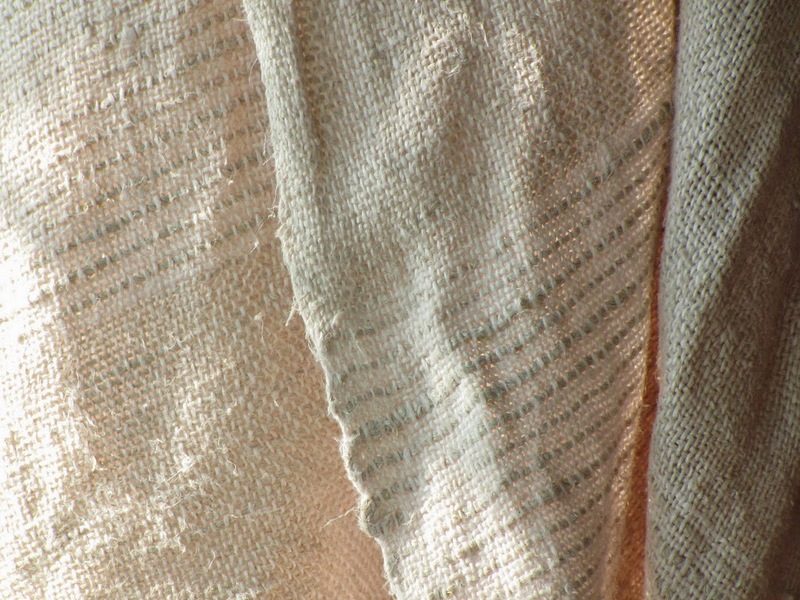 In the Old Testament, linen spun from flax features repeatedly - as Joseph's garments, the curtains of the Tabernacle, and arrayed on the High-priests. In Exodus ix. 31, flax is the plant destroyed by a plague of hail. In Isaiah xlii. 3, it is used for lamp wicks. In New Testament times, linen is likely to have formed the clothing of Jesus in the tomb where Joseph of Arimathaea laid him. Here in the UK, records of flax cultivation date back to at least 1240. Flax harvesting is a fascinating process. 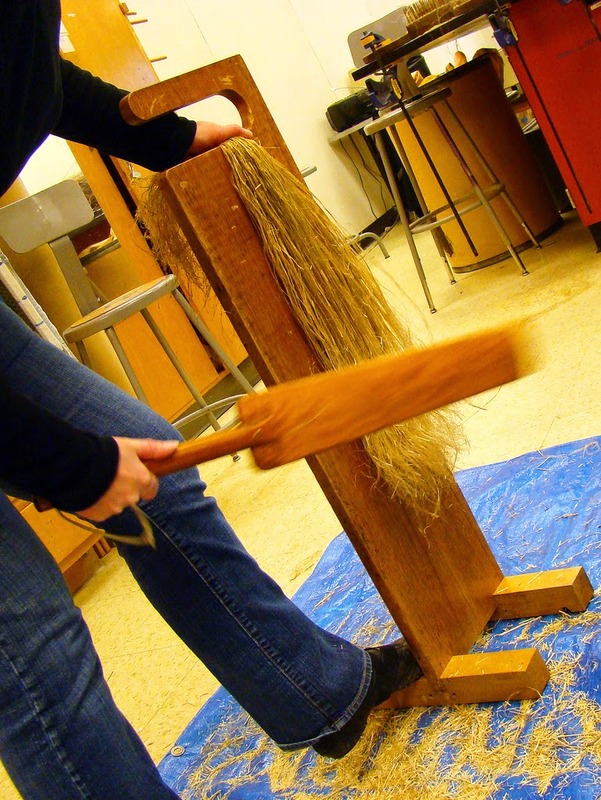 Flax is one of the world's oldest textiles because of its tough, durable characteristics. 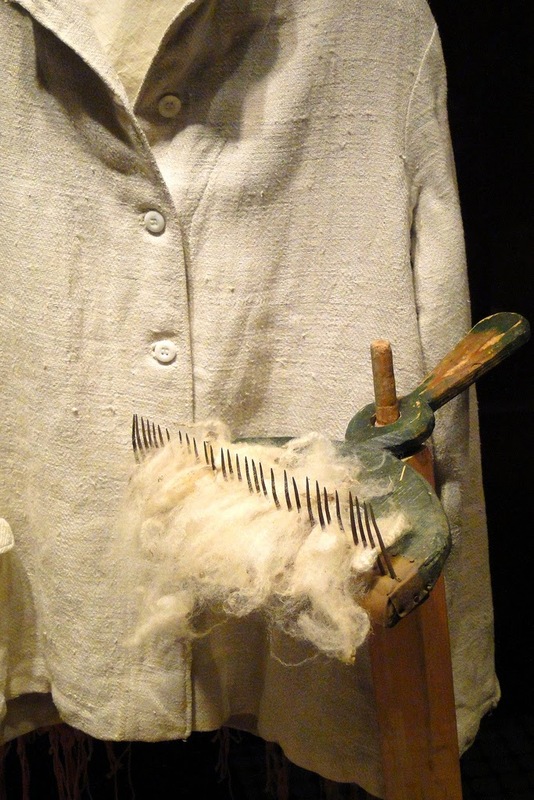 Flax fibre is two or three times as strong as cotton although its disadvantage is that it's less elastic. Harvesting of flax for fibre takes place in August or September, when the whole plant is dry and the base yellows, about one month after flowering. Once the lower leaves have fallen from the flax crop, the plant is pulled up with roots to obtain the full length fibres. In more modern mechanized harvesting it is cut by a harvesting machine for speed rather than pulled. 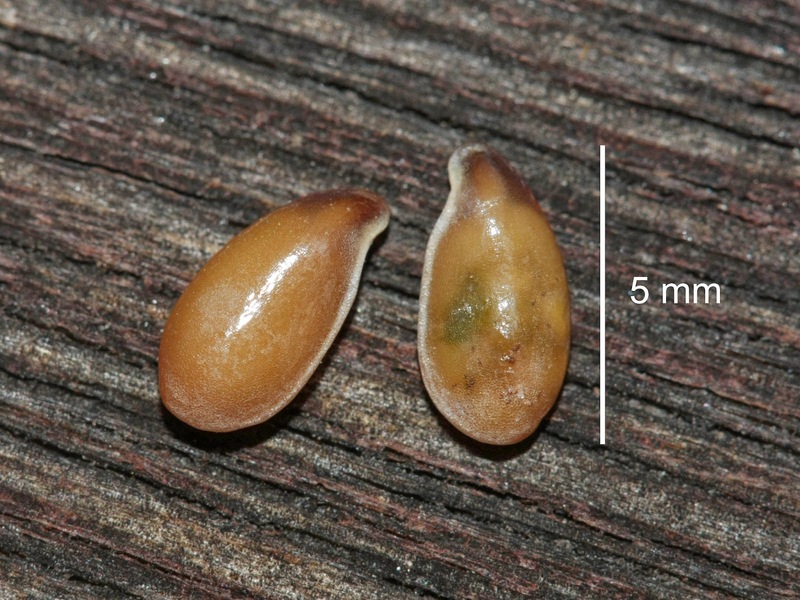 The stems are then allowed to dry fully, and the seeds and chaff are shaken out. 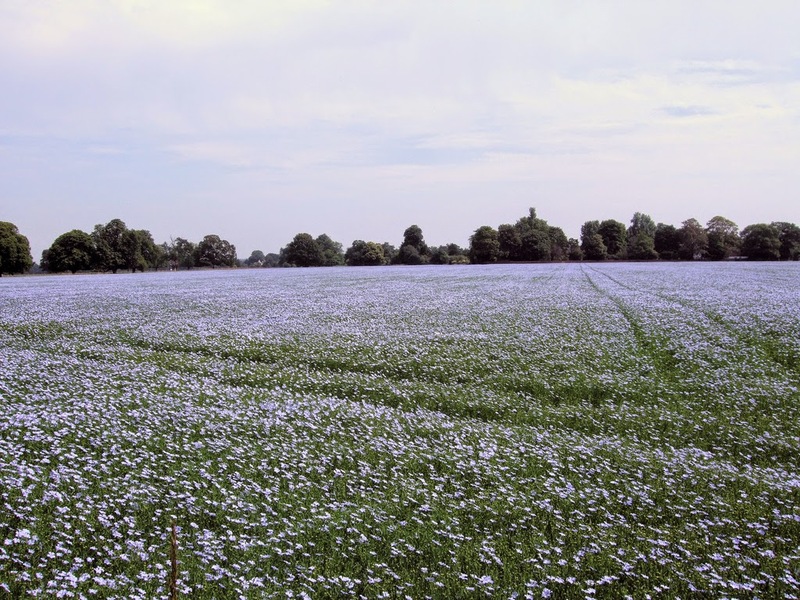 The flax crop is then ‘retted’, meaning it is exposed to the elements or submerged in water to help decomposition of the pectins that hold the fibres together. 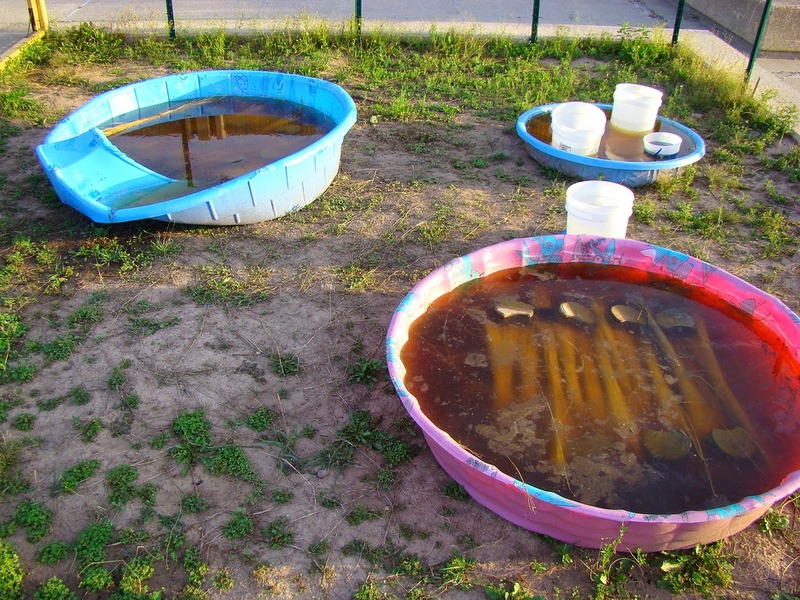 Retting works by allowing microorganisms to rot away cellular tissue and separate fibre from stem. 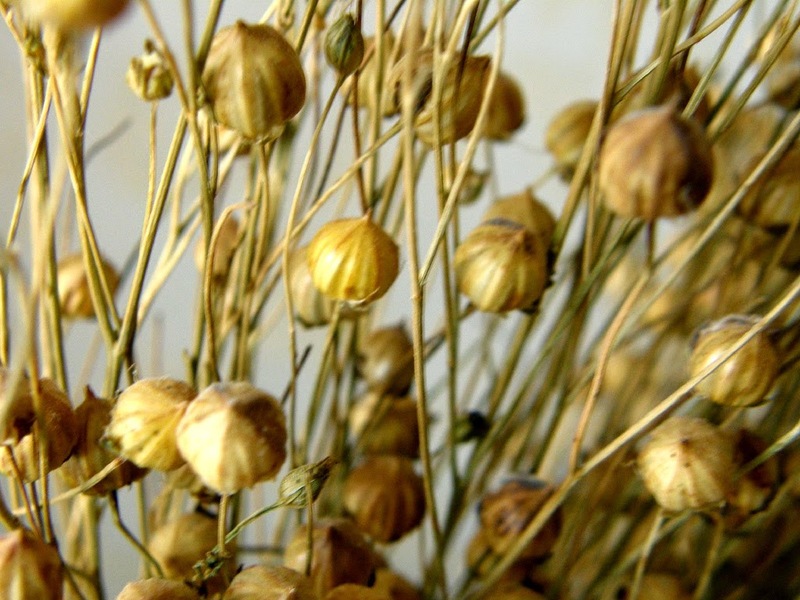 The word 'flax' can refer to the unspun fibres created by this process, in addition to referring to the plant itself. The flax is then ‘broken’ to break up the straw, ‘scutched’ to remove the straw, and ‘combed’ to produce the smooth fibres. 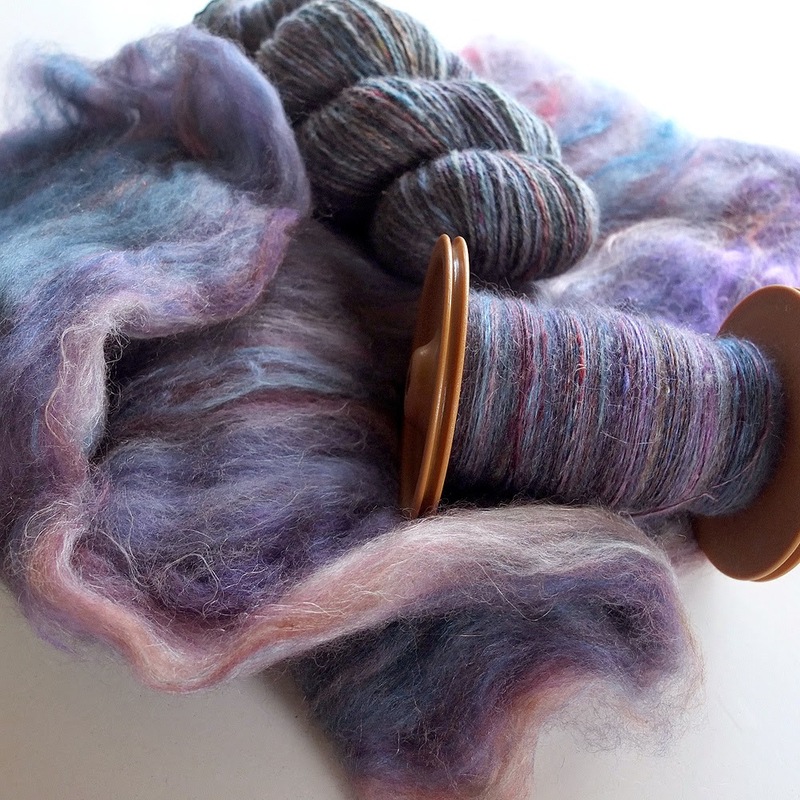 Finally, the flax fibre is spun into a yarn, which can then be used for knitting, making string or, most famously, woven into a fabric called ‘linen’. Flax fibres have many uses. 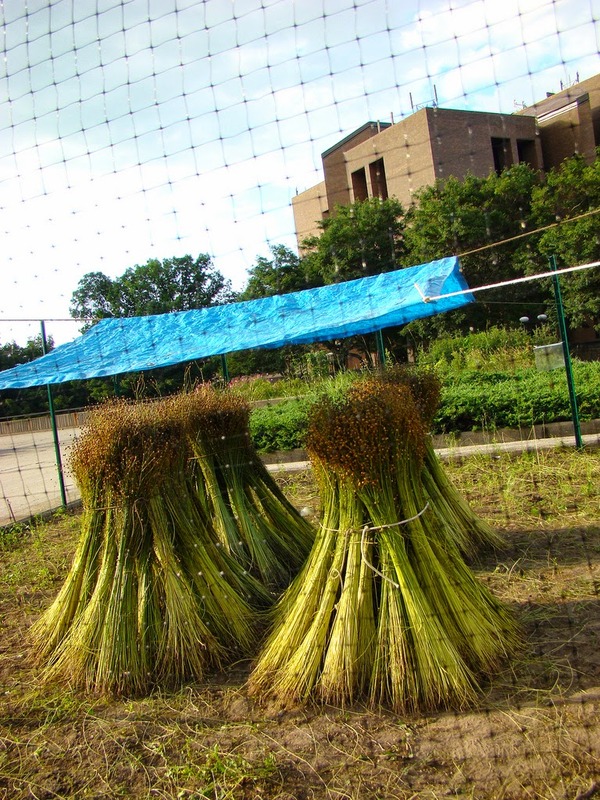 Flax varieties with long fibres are used for weaving, while shorter fibres are typical of flax grown for food although can get used for packaging materials. 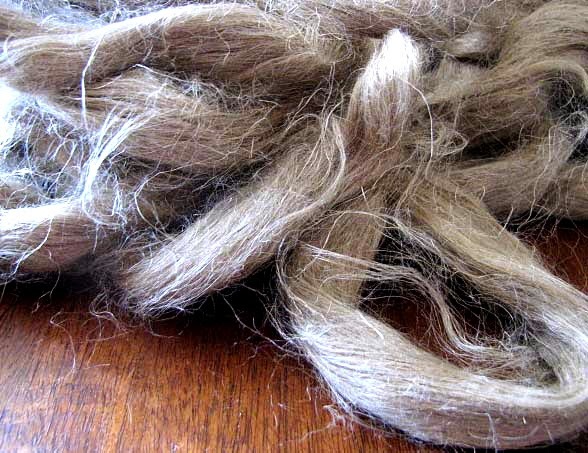 The best grades of flax fibres get used for linen damasks, lace and sheets. 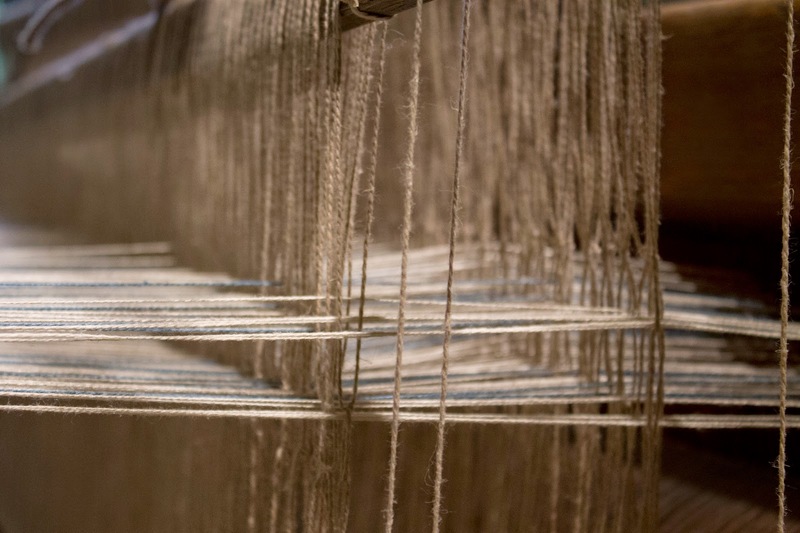 Coarser grades go into twine, rope and canvas. Flax fibre also goes into printed banknotes, rolling paper for cigarettes, and even tea bags! 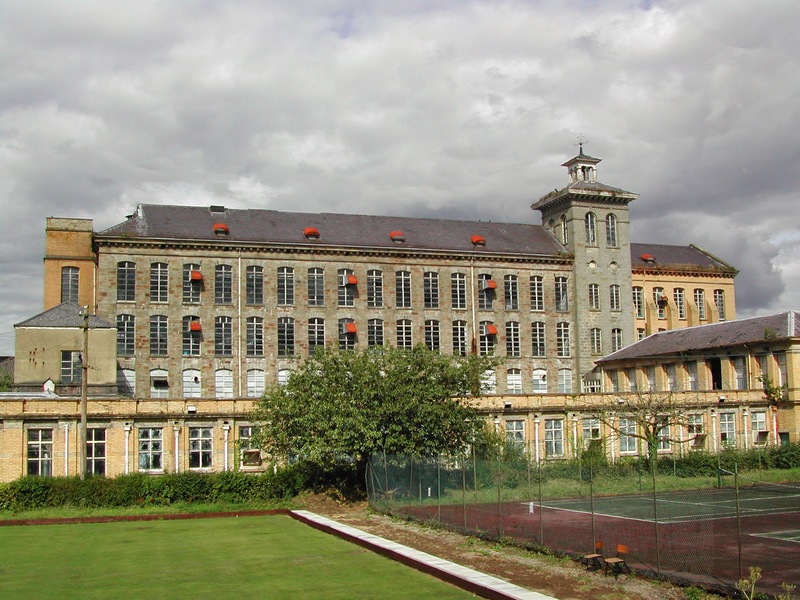 John Kendrew and Thomas Porthouse created flax mills for spinning flaxen yarn in 1787, leading to the advent of industrial flax production. 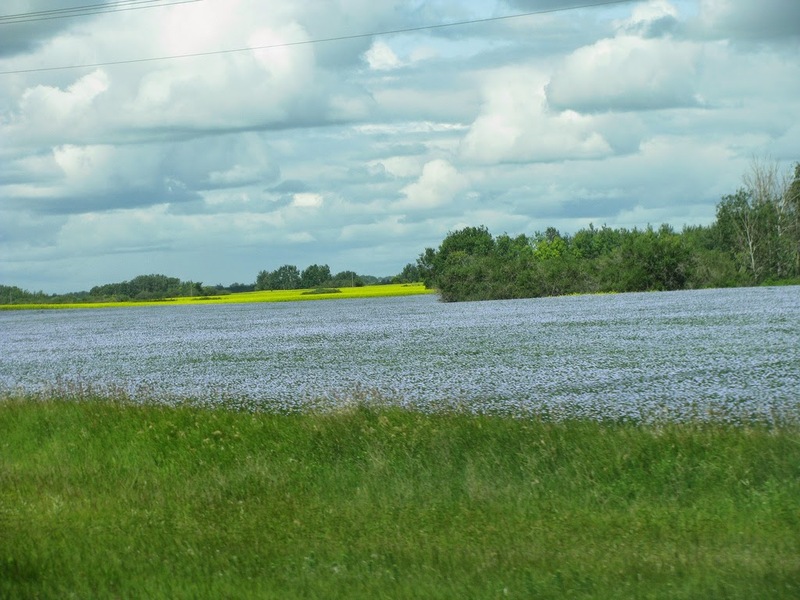 The big producers of flax today are Canada and China, which together account for nearly half the global production. Russia and India grow a lot too. 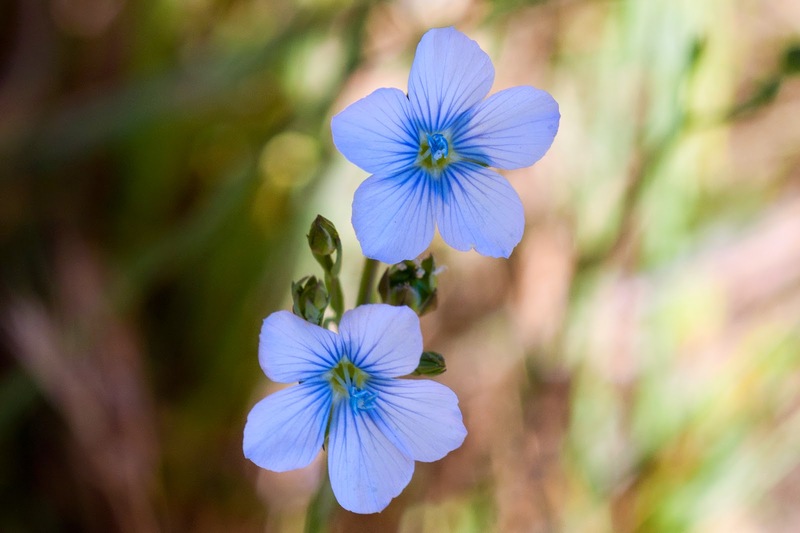 Given flax’s many uses to mankind throughout the ages, the species name for flax, usitatissimum, couldn’t be more appropriate – it means 'most useful'.